Why is everything so much cuter when it’s small? 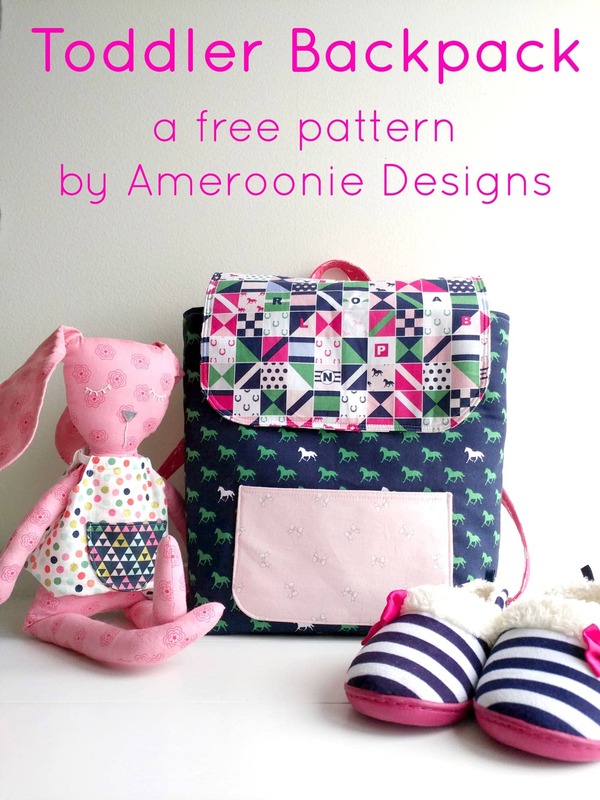 Today for our Derby Day Fabrics blog hop, Amy from Ameroonie Designs is sharing a tutorial for this ADORABLE toddler mini backpack. 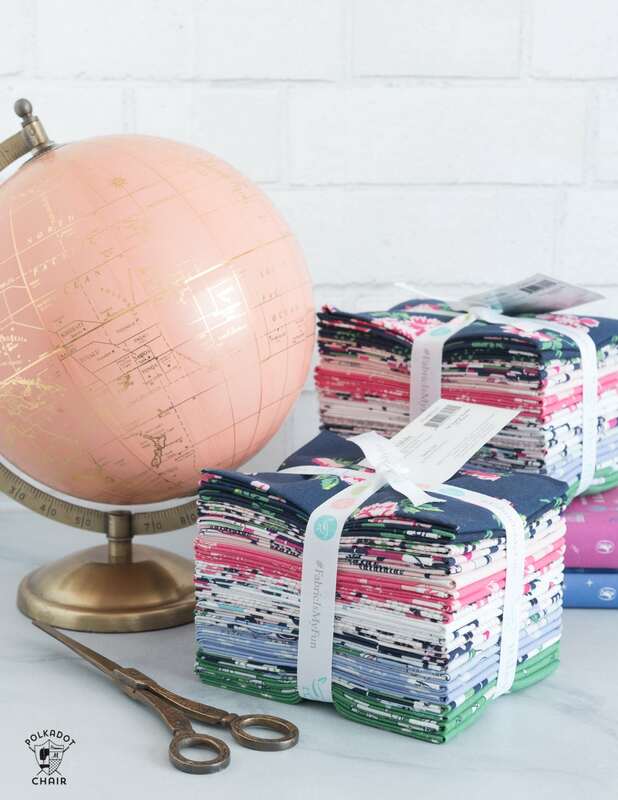 Just keep reading to find out how to sew one yourself! 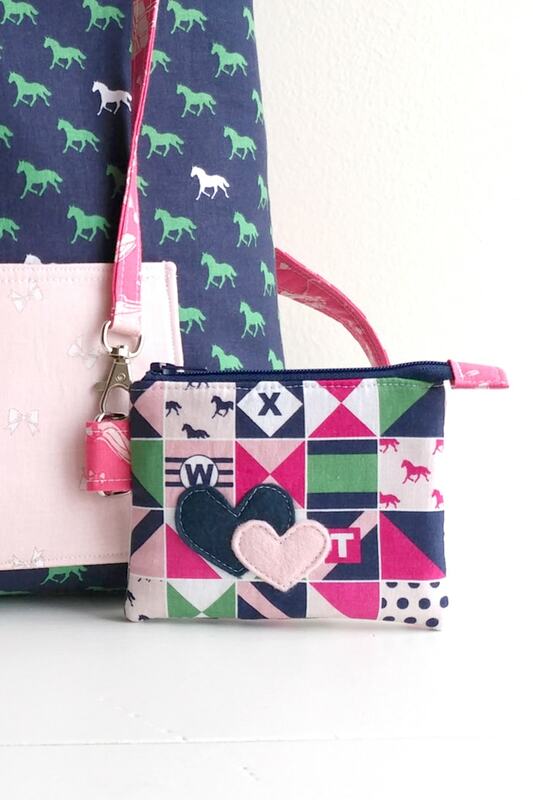 If you like this project then you may like the Ruby Lou Mini Purse Pattern. 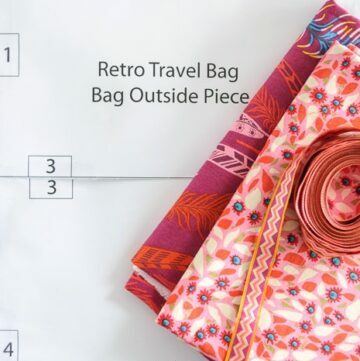 Let me tell you, I would have LOVED to have this toddler backpack pattern when my twins were small! It’s so much easier to lug stuff around with you when your kids help you carry “the stuff”. When my they were younger, we used to have a rule “if you want to take it you have to carry it”. Obviously, this didn’t work for everything, but it did work much more often than you’d think it would. I remember one trip to Utah in particular. My youngest daughter wanted to take this GIANT blanket with her on the plane. I can’t remember how old she was, maybe 5 or 6? I told her “no” a million times, then finally gave in and told her she could take it and I would NOT carry it for her in the airport. She seemed thrilled with the plan, until about 30 feet past security at the airport. By that point, I think she realized WHY I told her not to bring it with her, and tried to get me and my husband to carry it for her. We didn’t and she was upset about it all day. The next time we traveled, she took a smaller blanket. (Just to clarify, she had a perfectly good and warm blanket that she could have taken instead that fit in her carry on roller bag). 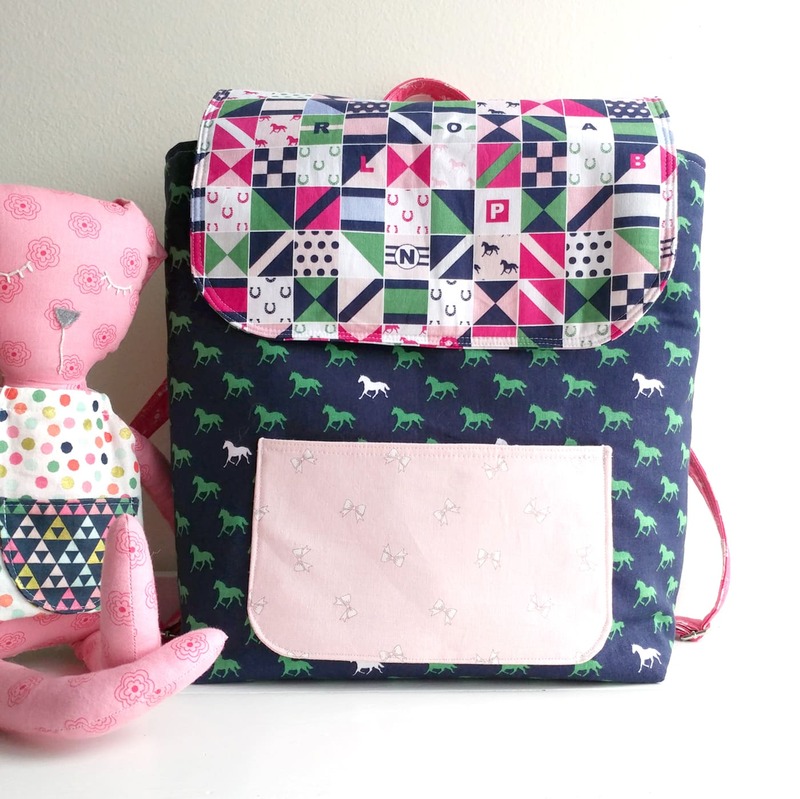 This toddler backpack sewing pattern by Amy is not only adorable but so practical too! 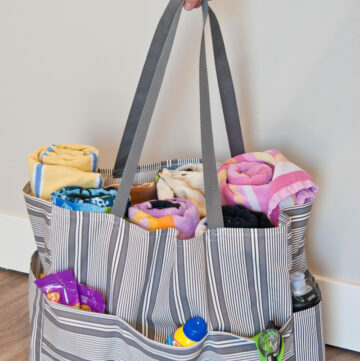 I can imagine it being used for kids to tote their stuff to church, in the car or on a family vacation. Actually imagining what my kids would have stuffed in a backpack like this when they were toddlers makes me giggle a bit! Why do they always want to take the most random stuff with them everywhere? I think we walked around with a lid to a margarine container for a month or so when my son was about two. To go along with the backpack, Amy created this sweet little mini clutch. I LOVE how she added the felt details! 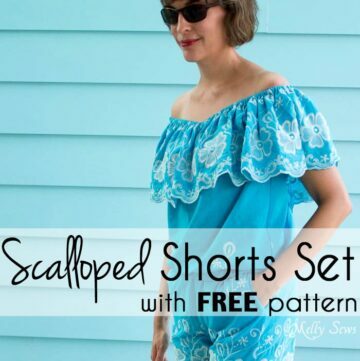 If you haven’t stopped by Amy’s site you should. She’s a mad genius when it comes to working with felt! I love that she used the jockey silks print from the line, I think it’s one of my favorites. Did you know that every letter of the alphabet is in that print? You could cut up the pieces and spell all kinds of things on your projects with it. To get the free tutorial for the toddler mini backpack just hop on over to AMY SITE by CLICKING HERE. 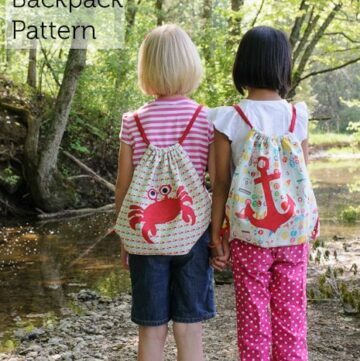 The pattern is so cute and I think would work well for older kids (and adults too), it’s a really fun mini backpack pattern! This back pack is so cute and i would love to make one for Sarah, my little grand daughter. 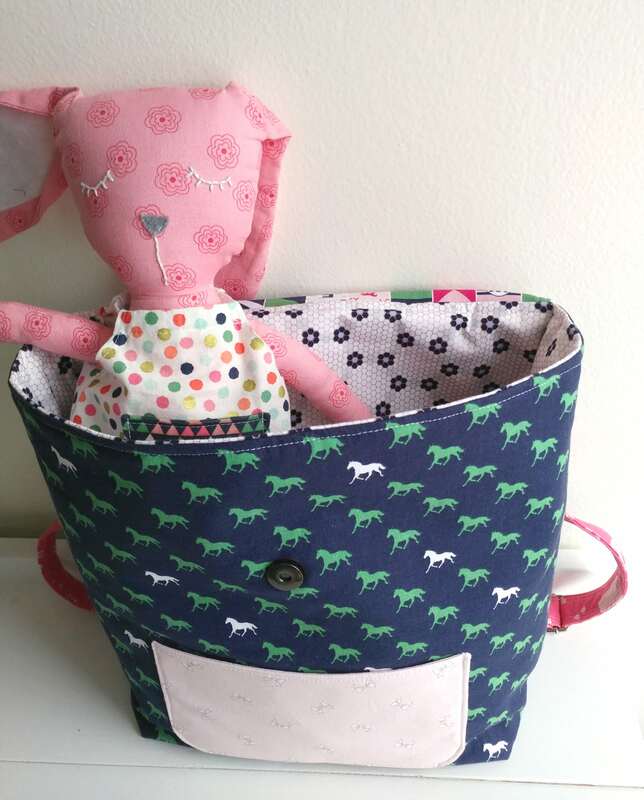 Do you have a pattern for this cute bunny? She looks adorable.